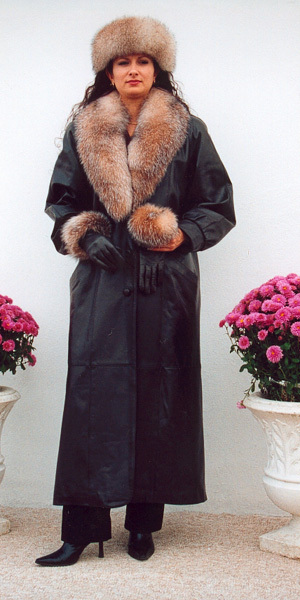 a) Brown lamb soft leather coat with removable crystal Fox collar. b) Crystal Fox Head Band. c) Brown leather gloves with crystal fox trim.